Kyle Lowry misses DeMar DeRozan. Like, a lot. 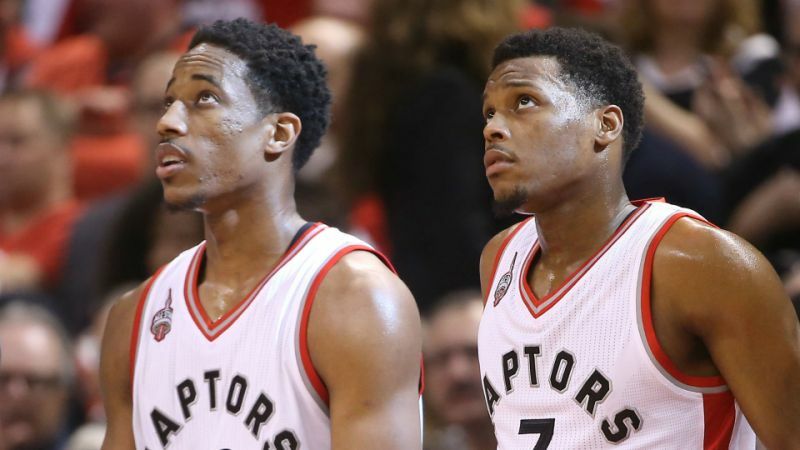 The former Toronto Raptors teammates were together for years and became one of the best backcourts in the NBA. In a sign of their shared bond, the two had a handshake they would do before every tipoff. We think you know what’s coming next: prior to Toronto’s season opener, Lowry was caught on camera doing the handshake…without DeRozan. It’s one thing if he did the handshake with another teammate as a way of passing on the torch or something. But to do the handshake alone? Talk about not being able to let go. DeRozan was traded to the San Antonio Spurs in a landscape-changing deal that sent ​Kawhi Leonard and Danny Green to the Raptors during the NBA’s otherwise-sleepy summer months. ​Lowry has not been a fan of the trade and has avoided welcoming his new teammates, clearly still affected by the loss of his buddy. Someone please make a handshake with Lowry, or at least give him a hug.